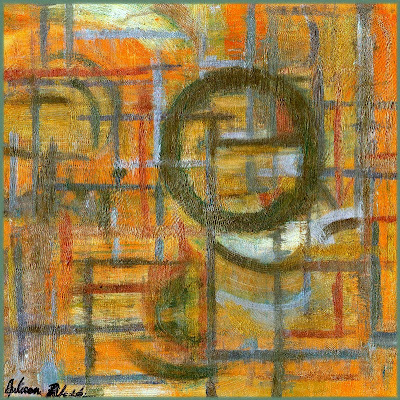 Julianne Richards: "The Colorspeaker": "Unearthed"
Acrylic on canvas-20"x20"with 3/4" depth. Gallery stretched back stapled canvas, with the painting continuing around all four sides. UV protective gloss varnish added for finish. Iridescent colors make this peice shine from any angle. What were you thinking about with this work? I love the color and the circle...I just want to know more about the why of the work. I have my own ideas...but would love to know yours. What inspired this work? I really, really love it. I Am the biggest circle person EVER. I love roundness... mix in the line and color...and it's just about as good as it gets for the eye.